‘Madam ji, which newspaper are you from?’ the voice that belonged to this query seemed just inches away from my left ear. I turned around, ever-so-slightly irked at having been disturbed. The kabaddi final was on and I was part of the tight crowd that stood transfixed watching the players flex their muscles for the coveted trophy. Abhinav Singh, from Abhinav’s Soul Window, who stood next to me turned around too, distracted by the question. 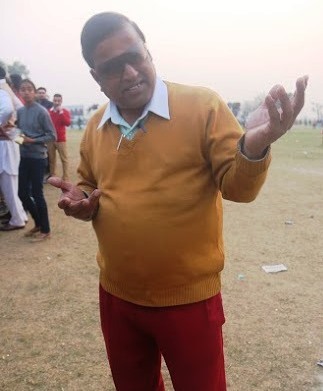 The man who had asked the question looked like one of the many hangers-on who were hovering around the Grewal Sports Stadium in Punjab’s Kila Raipur, looking for an opportunity to be captured by a camera – ANY camera. We were at the Rural Olympics, and on the stadium ground were many such fame seekers loafing about, looking for their 2-minutes of fame. ‘Hanji?’ I asked half-heartedly, knowing all too well what the question was in the first place and why it had been asked. ‘Madam ji, which newspaper are you from?’ up came the question again, this time laced with a smile that was disarming enough to warrant a polite reply. ‘We write for travel websites,’ I answered dismissively, pointing towards Abhinav. The man acknowledged my reply somewhat indifferently, and I can say for sure he had no inkling what the answer meant. ‘Oh, I thought you are from a newspaper. Many newspapers have written about me. You see I am Punjab’s Govinda,’ his little smile had become more buoyant now. You are…what! ?’ I mumbled, amused at the man’s audacity. Punjab’s Govinda, really? Abhinav too did not seem convinced. ‘Yes ji, I am Punjab’s Govinda,’ the man insisted, unfazed by the incredulous looks we shot back at him. ‘You mean Raja Babu wala Govinda? Film star Govinda?’ we contended, tickled by the man’s seemingly juvenile claims that he was a Govinda look-alike. And it was only then that I noticed his clothes. Yellow sweater, red pants. GOVINDA!! But the likeness seemed to end there. ‘So that’s why you are wearing such clothes! 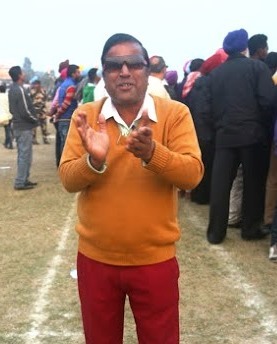 Red pants and yellow sweater…to look like Govinda?’ My curiosity was piqued, finally. The man must have heaved a sigh of relief. ‘Yes ji!! I copy Govinda’s style! When I put goggles and do action like him, people call me duplicate Govinda,’ saying this he pulled out his goggles with a flourish and putting them on the bridge of his nose, twisted his face into a Raja Babu-esque expression. Okay. Though the transformation was not very in-your-face, but one could notice the resemblance, a faint Govinda had indeed morphed out of the timid looking man. ‘So you do mimicry as well?’ I asked, almost sure that he’ll start spouting Govinda’s quirky dialogues right away. The question went ignored. He was now busy narrating his Mumbai adventures to Abhinav. ‘Oh you see I invested a lot of money in Mumbai,’ he seemed to have gone into the monologue mode. This was the third time he had repeated the sentence. ‘No, No. I would go and live in Mumbai for months on end. Living in hotels and renting rooms costs money. I invested a lot. But I did not want to do small roles. So I came back to concentrate on business.’ He went on and on, in an upbeat tone, about his time in Mumbai and how he tried getting into films but could not get good roles and was wary of acting out inconsequential parts. We try to wrap up the conversation, but Punjab’s Govinda was not giving up yet. ‘See, many newspapers have written about me. 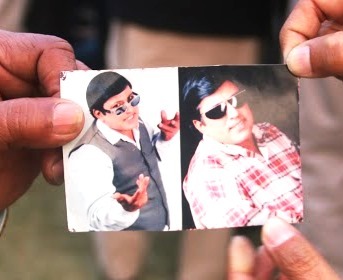 Here…see…’ he pulled out a bunch of newspaper clippings from his pocket, of stories about Titu Mahajan’s outings as Govinda’s lookalike. ‘So your name is Titu Mahajan,’ I observed, giving a quick, half-hearted run-through to all the clippings he earnestly held out for us to see. Oh sure, I grinned inwardly, amused at this man’s naivety. How conveniently he had assumed that we were actually going to write about him and his Govinda-obsession. But writing about him I am, for strange are the ways of the mind. And as I muse about this droll encounter with Titu Mahajan, I cannot help but marvel at the man’s upbeat spirit. I cannot help but smile at his naivety, his unpretentious assumptions and his ingenious ways of advertising himself. He may or may not look like film star Govinda, but then audacity has made kings, and his audacity qualifies him as Punjab’s Govinda! Hahaaa… what resemblance ! Nice post..
OMG! Well-written Ragini, audacity can indeed make kings! But then he did get you to write about him, even if not in print! I would say he had great marketing skills, loved your humor here too. Yes Alok! That's what I wrote, that after all that smirking, I actually AM writing about him. Hhaha, ingenious marketing skills indeed. Funny how bizarre encounters become amusing memories. He was, Bushra! Imagine, approaching random people in a fair and pitching a self-promotion story idea! Thanks you Life360 Degrees. Glad you enjoyed the post. First things first!. Ragini , you are such a fab writer. Your journalism background is clearly visible in your words. I was going to write about him and then I saw your blog, long after I should have. Since I was there in this moment, I know how you have captured the smallest of nuances so well. And of course your subtle humour is cherry on cake. So, I don’t need the feel to write about an already perfect account of our meeting with Titu. I remember our reluctance to talk to him when the match was going on. But eventually he was successful in attracting our attention. You forgot to mention he changed our position on ground as he talked…You know what I mean. It’s 3 a.m. right now and I am laughing alone as I write this. What an interesting character. I’m glad you went ahead and wrote about him!